The Indian Space Research Organisation (ISRO) is launching 29 satellites including the primary payload EMISAT on 1st April 2019. The PSLV-C45 (Polar Satellite Launch Vehicle), carrying these satellites onboard, will take off from the Satish Dhawan Space Centre in Sriharikota. 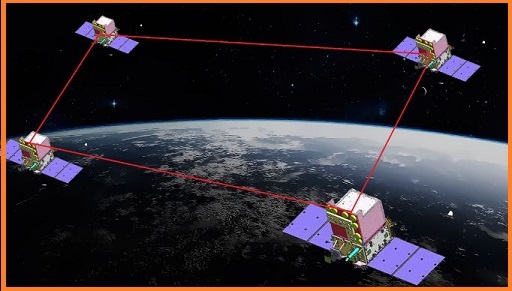 The EMISAT Satellite (Electronic Spy in Space) is an advanced electronic intelligence (ELINT) satellite jointly developed by ISRO-DRDO for monitoring radar network by India. EMISAT is weighing about 436 kg, it has been developed for monitoring radar network by India. The EMISAT Satellite is intended for electromagnetic spectrum measurement. The EMISAT Satellite will be placed in an orbit of about 753 km altitude. The customer payloads are from Lithuania, Spain, Switzerland, and the United States. They will be launched into space at an altitude of about 505 km. They will be hurled into space at an altitude of about 505 km. After all the satellites are put into orbits, the fourth stage of the rocket will be propelled to a different elevation and will be used as a platform for different experiments by Indian institutions, including ISRO.